Summer has arrived in the Philippines, and it’s high time to book those flights and hotels for your next vacation! With school out and the weather warming up, this season is the best time to relax at a pristine beach in Bohol or Palawan, or savor a cool-weathered destination like Baguio or Davao with family and friends. Holy Week will also be celebrated across the archipelago and exciting festivals like Flores de Mayo and Pahiyas color this time of the year. This summertime, I’ll be revisiting Marinduque for the Moriones Festival from Holy Thursday to Easter Sunday. Unfortunately, I wasn’t able to book my flight from Cebu to Manila earlier due to my tight schedule these past few weeks. Unless you book them months in advance, flights and hotels are usually expensive during this time due to the peak period. 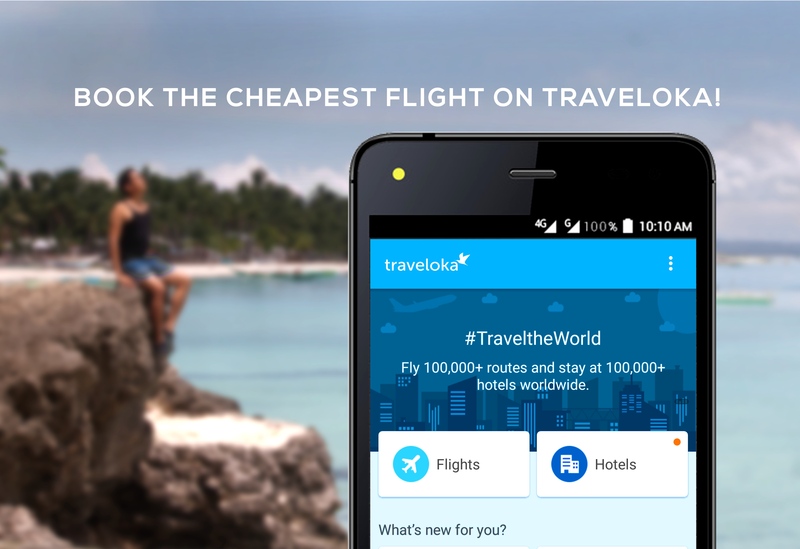 Thankfully, a traveler friend recommended Traveloka – a new booking app that helps you search, compare and purchase flights and hotels. 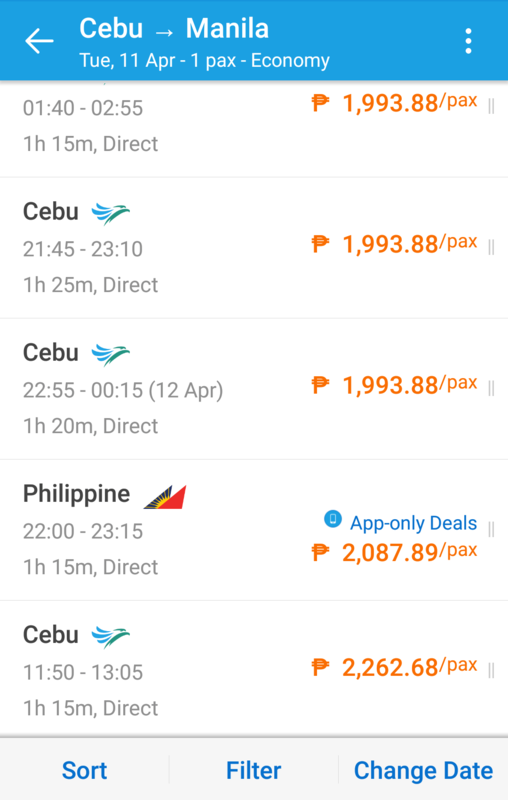 Here, I was finally booked a cheap flight on Philippine Airlines during Holy Week! 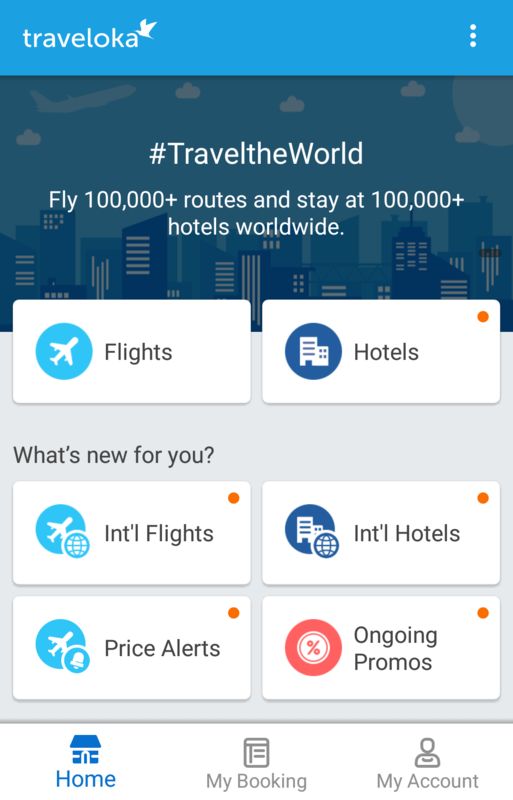 After quickly downloading the app from Google PlayStore, launching the Traveloka app on my smartphone was a breath of fresh air! I instantly fell in love with the clear and clutter-free user interface of the application. No more headache-inducing tiny fonts or distracting banners. Large menu buttons, big text and the sky blue brand color make for a breezy browsing experience that makes you feel like you’re already on a vacation. Traveloka has partnered with 70 domestic and international airlines across Asia, serving more than 100,000 routes. With a click of a button, it aggregates flight search results from different airlines for your selected route, displaying them clearly in an easy-to-read listing, which highlights the fares for quick comparison. Ever get annoyed by booking sites that sneak in unwanted add-ons to your final bill? 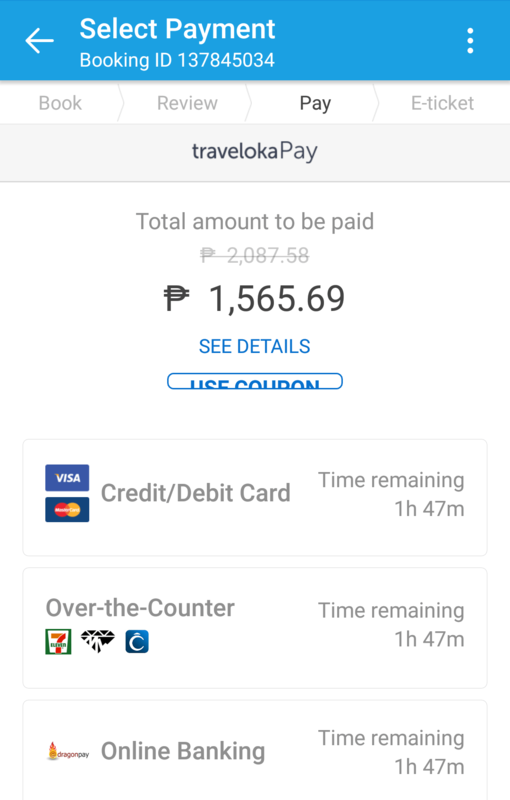 Unlike other websites and apps that mislead you into purchasing check-in baggage, preferred seating or travel insurance you don’t need, Traveloka app displays fares with no hidden charges. You simply pay the amount displayed. This allows you to make clear-cut comparisons between flights from different airlines, and only upgrade your flight later on, if you so wish. 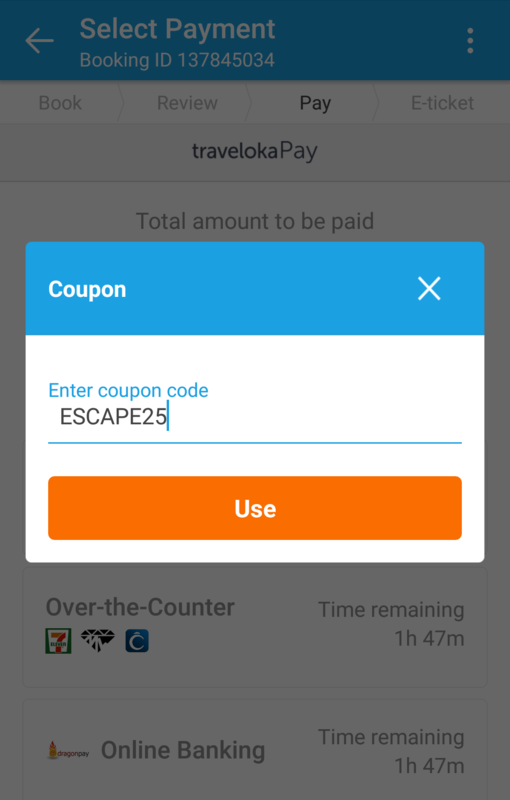 Aside from app-only rates, Traveloka regularly offers discounts for all your flight and hotel bookings. You can check out the latest promotions by clicking the Ongoing Promos button on the homepage. I was able to avail of avail of a 25% discount on my PAL flight from Cebu to Manila, slashing the fare from PHP 2,088 to PHP 1,566. To avail of an ongoing promotion, type in the advertised promo code in the payment page when booking. 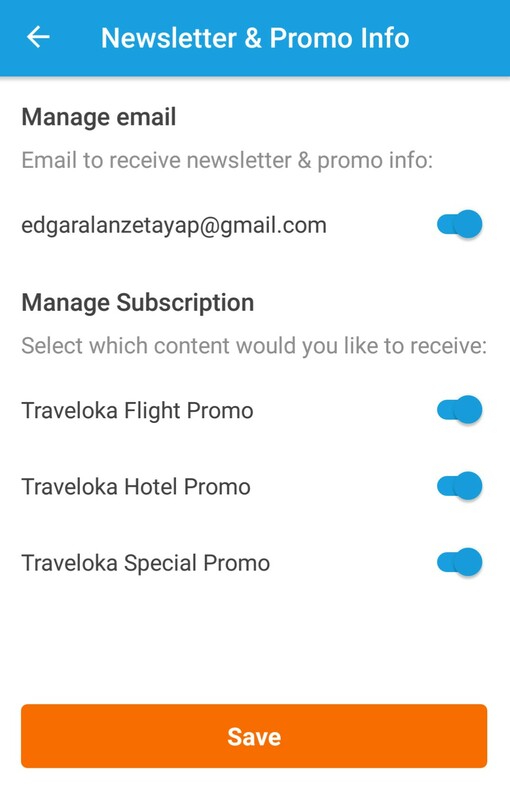 Receive the latest promo alerts by turning on the settings in “Newsletter & Promo Info” in “My Account”. Traveloka conveniently offers both online and over-the-counter payment options. Pay for your bookings with your Visa or MasterCard credit and debit cards, DragonPay or offline through 7-Eleven, MLhuillier or Cebuana Lhuillier branches nationwide. Don’t miss your booked flights by turning on the push notifications in your Traveloka app! Receive flight reminders and alerts on any changes right on your smartphone. Haven’t found the right fare for your flight? 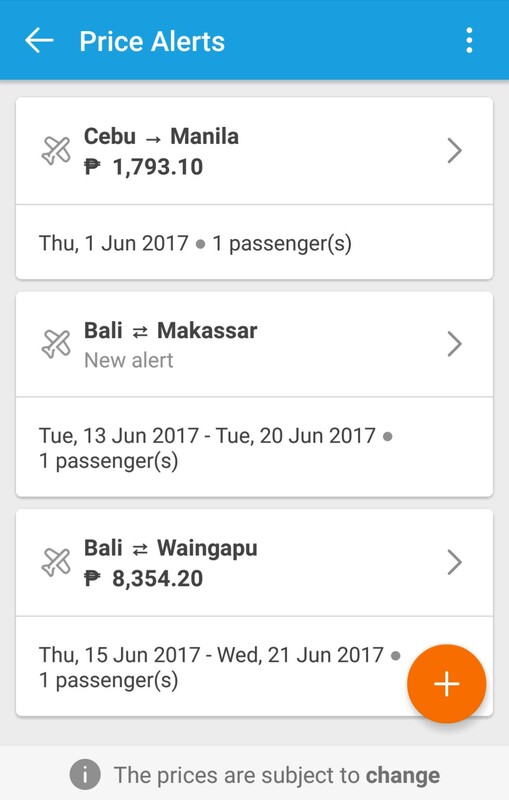 Never miss out on exciting flight deals and be alerted of price drops by saving your upcoming flight schedules and budget in the app. Change of travel plans? No worries! Traveloka makes it easy for you to refund or reschedule your flight bookings within the application without having to call the airlines or visit their sites. Manage your booking in the “Flight E-tickets” menu in “My Booking”. Hi I was wondering if you’ve ever tried rescheduling domestic flights in Traveloka and how much are the fees? Nice article by the way! I’ve only tried rescheduling flights directly through the respective airlines’ websites.